Don’t be fooled by its size! The OmniDry Mini is the most economical, powerful, energy-efficient and ETL Certified mini air mover. 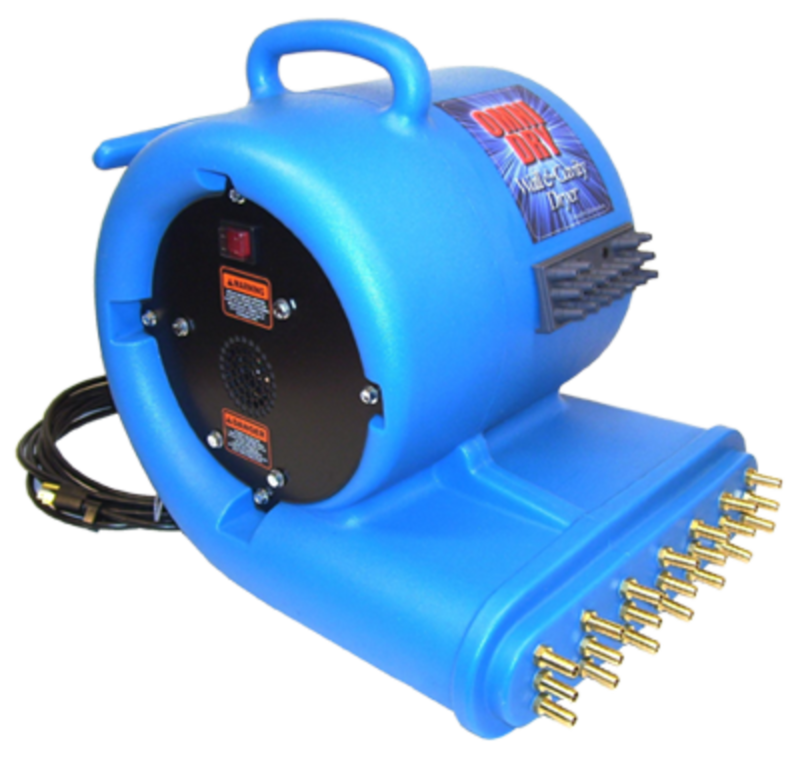 Quickly dry areas where larger air movers don’t fit, such as crawl spaces, under counters, inside cabinets or closets and more. Quickly dry areas where larger air movers don't fit, such as crawl spaces, closets, under counters, inside cabinets, and more. Axial fans have revolutionized water restoration and the Focal Point is the next evolutionary step in axial fans. That’s because its patent pending technology produces air velocities at least 40% greater than competitive products! The Focal Point is a 2-speed fan that draws only 2.5 amps so multiple units can be used on the same circuit. 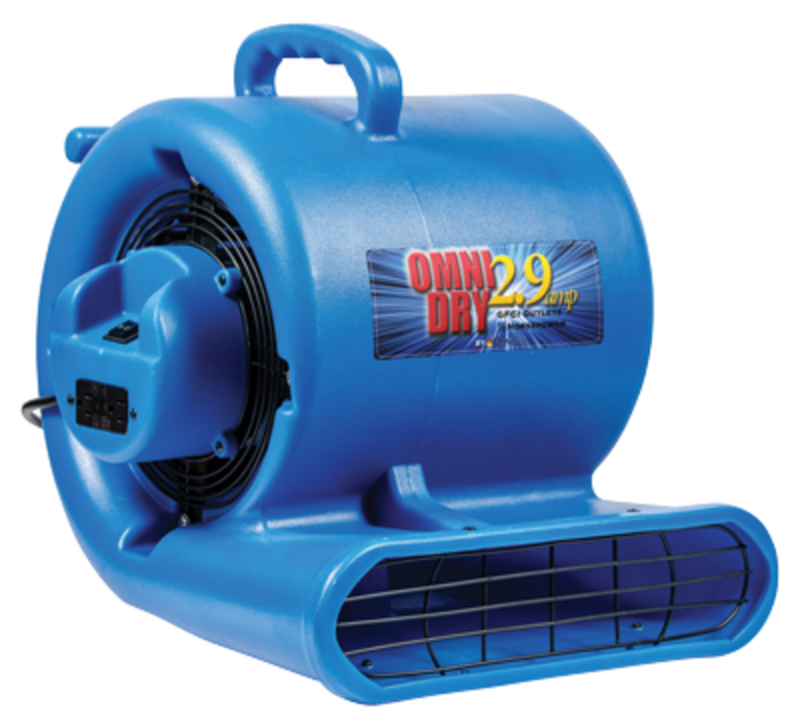 It delivers a focused 3,000 CFM air stream and sustains these velocities over 22.5 feet! 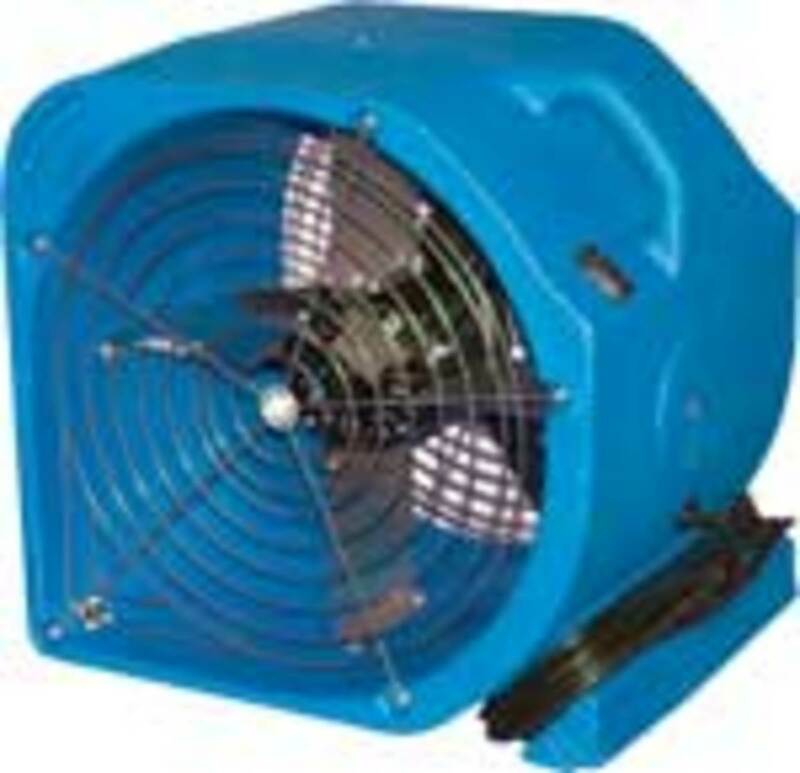 This highly focused airflow can be used in the popular “top down” drying systems as well as be directed to problem areas such as walls, subfloor, carpet and pad. 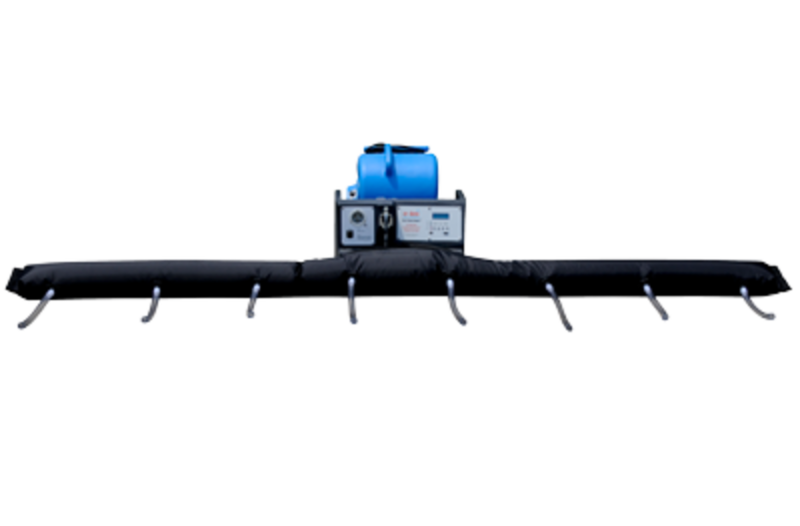 Axial fans have revolutionized water restoration and the Focal Point is the next evolutionary step in axial fans. The patent pending technology produces air velocities at least 40% greater than competitive products! The Focal Point is a 2-speed fan that draws only 2.5 amps so multiple units can be used on the same circuit. 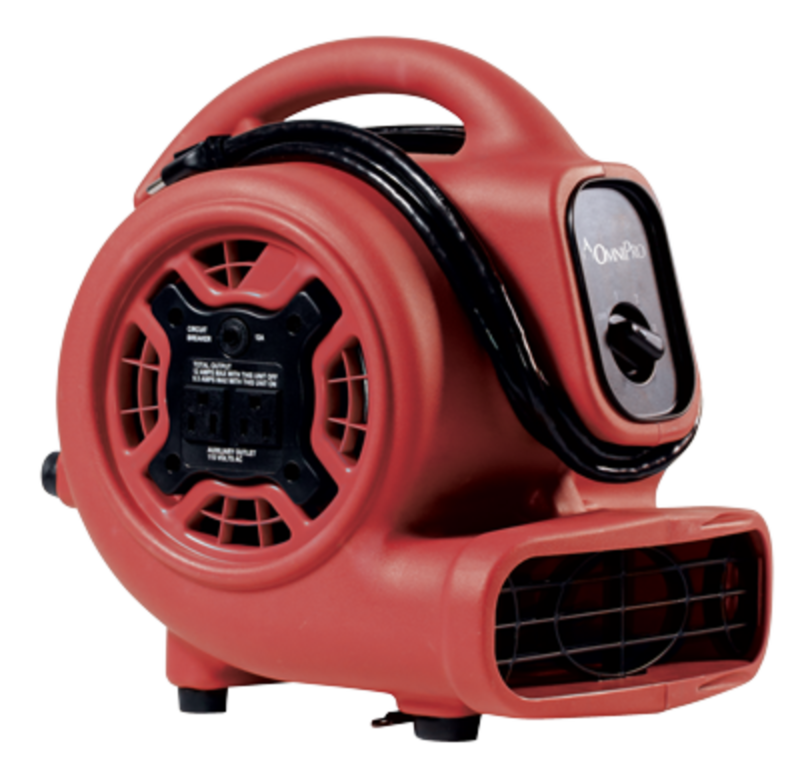 It delivers a focused 3,000 CFM air stream and sustains these velocities over 22.5 feet! 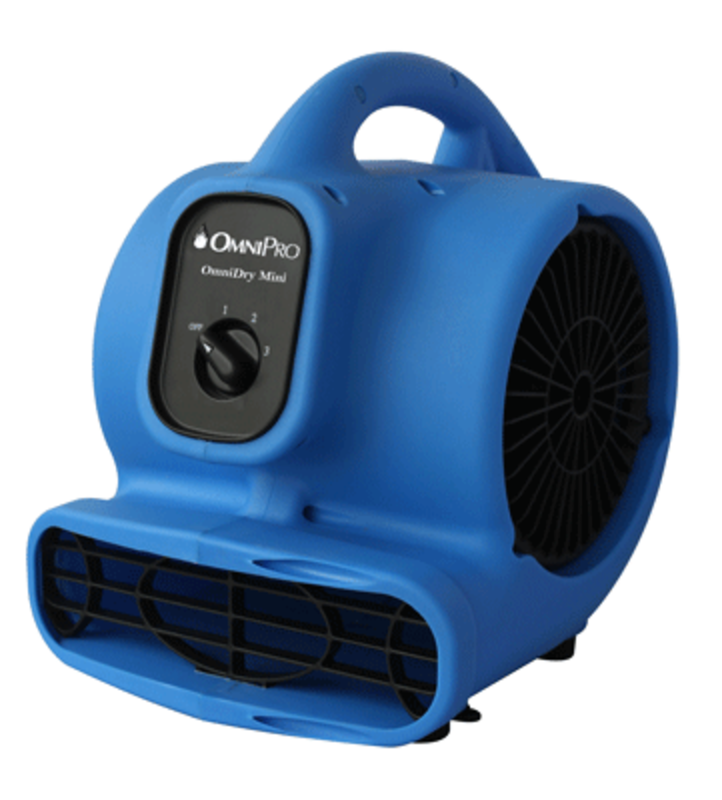 This highly focused airflow can then be used in the popular "top down" drying systems as well as be directed to problem areas such as walls, sub-floor, carpet and pad. When you use the OmniDry Carpet Clamp kit, you can securely clamp the carpet to the snout of the air mover to prevent the carpet from flapping and prevent damage to the carpet. If you use your air mover to float carpet, this kit is a must. When you use the OmniDry Carpet Clamp kit, you can securely clamp the carpet to the snout of the air mover to prevent the carpet from flapping and prevent damage to the carpet. The clamp assembly mounts to two anchors molded into the front of all OmniDry airmovers. The two screws required to mount the clamp are included in the kit. 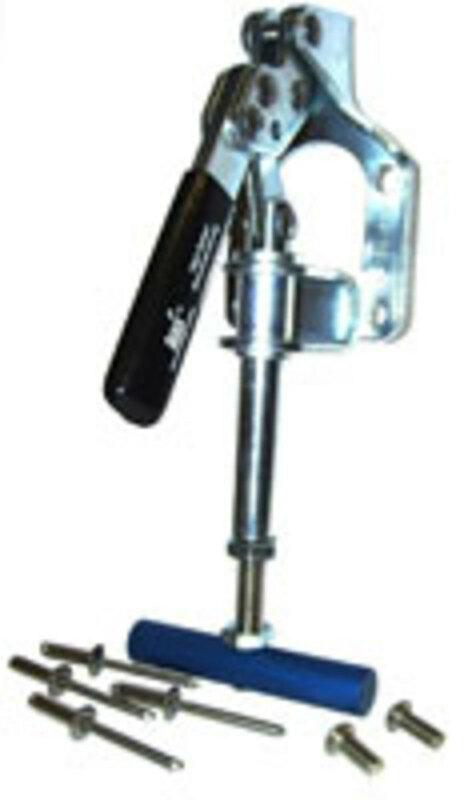 Four rivets are also included to mount the clamp on other models of air movers without the molded in anchors. Get the lowest amps with the highest airflow. The 2-speed OmniDry 2.9 delivers 3825 FPM at 2.9 amps, is stackable, features two daisy-chain GFCI outlets, a 25’ power cord, and a built-in cord wrap. Get the lowest amps with the highest airflow. The 2-speed OmniDry 2.9 Air Mover delivers 3480 FPM at 2.9 amps, is stackable, features two daisy-chain GFCI outlets, a 25-foot power cord and a built-in cord wrap. The Flexidry makes it faster and easier to dry wall cavities. The Flexidry comes with eight reinforced openings that are spaced 16” apart to match stud cavities. The 3/4” hose barbs and rubber hoses are user replaceable and can be customized to fit the particular drying situation. Multiple Flexidry units can be attached together for long runs down hallways or long walls. The Flexidry can even bend around corners. The universal cinch-tight opening will accept any centrifugal air mover or E-TES/TEX box. The cinch-tight opening uses industrial Velcro straps to cinch around the air mover opening, reducing airflow loss and keeping the Flexidry firmly locked in place. Comes with a convenient carry bag for storage and transportation. The all new Flexidry makes it faster and easier to dry wall cavities. The Flexidry comes with eight reinforced openings that are spaced 16" apart to match stud cavities. The ¾" hose barbs and rubber hoses are user replaceable and can be customized to fit the particular drying situation. One Flexidry covers an 8-foot section of wall and you can connect up to five Flexidry's for runs down long hallways or walls. The Flexidry can even bend around corners. The universal cinch-tight opening will accept any centrifugal airmover or E-TES/TEX box. The cinch-tight opening uses industrial Velcro straps to cinch around the airmover opening, reducing airflow loss and keeping the Flexidry firmly locked in place. Comes with a convenient carry bag for storage and transportation. The OmniDry Wall and Cavity Drying System uses pressurized air to make drying wall cavities and tough to dry areas easier and less frustrating than ever before! This tool allows you to easily direct air to the most difficult places; hard-to-reach areas like wall cavities, behind cabinets and sinks and around built-in furniture like bookshelves. The 21 air outlets are what make this drying system so effective. All you have to do is bore ½ inch holes where you need them to begin drying. And the on board “plug-off” system allows you to only direct air out of the outlets you need, so all of the air goes exactly where you want it. This lightweight, highly portable system will save money, time and headaches! This new pressurized drying system makes drying wall cavities easier and less frustrating than before. Perfect for under sinks, behind cabinets and permanent furniture. Its portability makes drying a breeze. All in one containment allows the operator simple, on-the-go equipment. Just bore a 1/2-inch hole, plug in the end hose and begin drying. The on-board plug-off system allows for simple plugging of unused tubes. 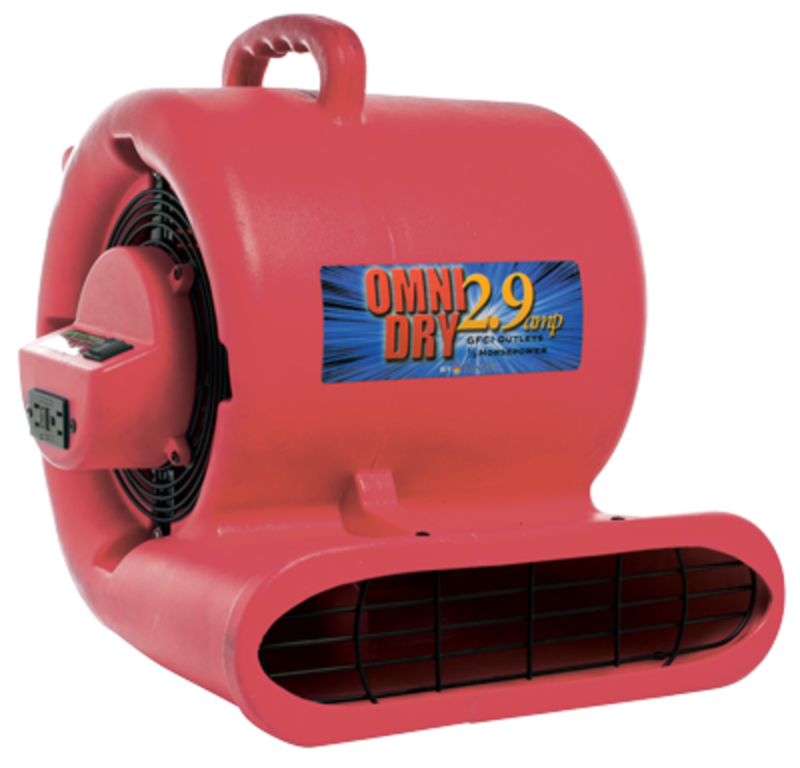 The 2-speed OmniDry 2.9 Air Mover delivers 3480 FPM at 2.9 amps, is stackable, features two daisy-chain GFCI outlets, a 25 foot power cord and a built-in cord wrap. Don't be fooled by its size. The OmniDry Mini is the most economical, powerful, energy-efficient and ETL Certified mini air mover. ©2019 OmniPro Restoration. All rights reserved.